Since the launch of the biennial Art for Life in 1989, Columbus Museum of Art has been an early host and supporter. 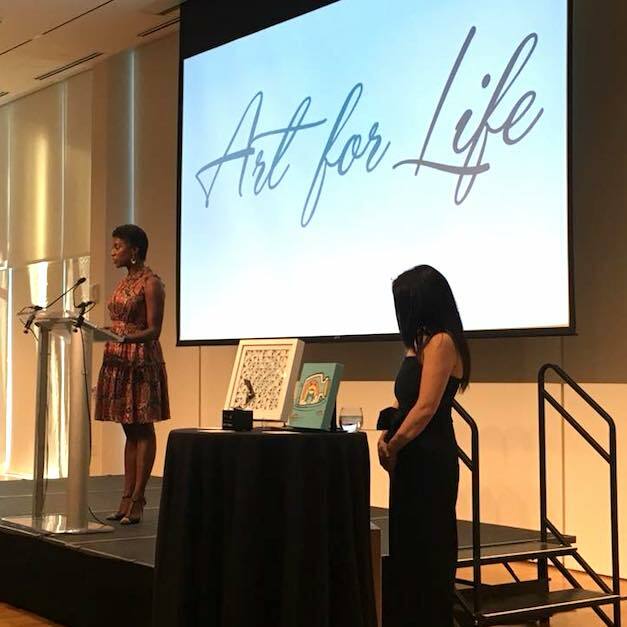 Last week’s Art for Life broke records and raised more than $1 million for Equitas Health, Ohio’s community-based healthcare system specializing in critical LGBTQ and HIV care. Relationships are one of CMA’s three foundational values. We are radically inclusive in our relationships with our community, and are strongly committed that art is for everyone. We embrace LGBTQ artists from Columbus and beyond. One of the highlights of the auction included the purchase of a Joan Miro lithograph for $50,000 which was then immediately gifted to Columbus Museum of Art for the permanent collection. The Miro was purchased by the Havens family in memory of their mother, longtime LGBTQ ally Barbara Havens, who passed away in February. CMA bid and purchased one of the artworks, a photo of a transgender man by LA photographer Austin Young, known for his elaborate portraits of drag queens and celebrities. Young is also the cofounder of the Fallen Fruit art collective. It was the first time we’ve ever bid. No one knew it was us. It felt like the perfect way to honor our new Loud & Proud LGBTQ and Allied membership. The Austin Young photograph, now part of Columbus Museum of Art’s permanent collection, will be on display during the September 30 Loud & Proud Launch Party.